last year we reported that MIT researchers were investigating how a fleet of autonomous boats could improve urban waterways in amsterdam. dubbed roboat, the research project saw the senseable city lab at MIT, directed by carlo ratti, collaborate with the amsterdam institute for advanced metropolitan solutions (AMS). 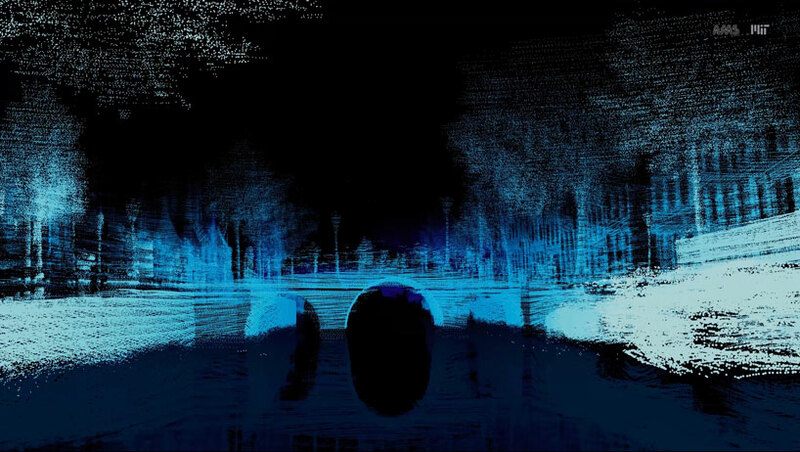 together they envisioned a new kind of on-demand infrastructure comprising autonomous platforms that could combine together to form floating bridges and stages, collect waste, deliver goods, and transport people, all while collecting data about the city. to make this possible, the autonomous boats need a three-deminsional representation of the environment around them, one that is updated continuously and is accurate down to the centimetre. 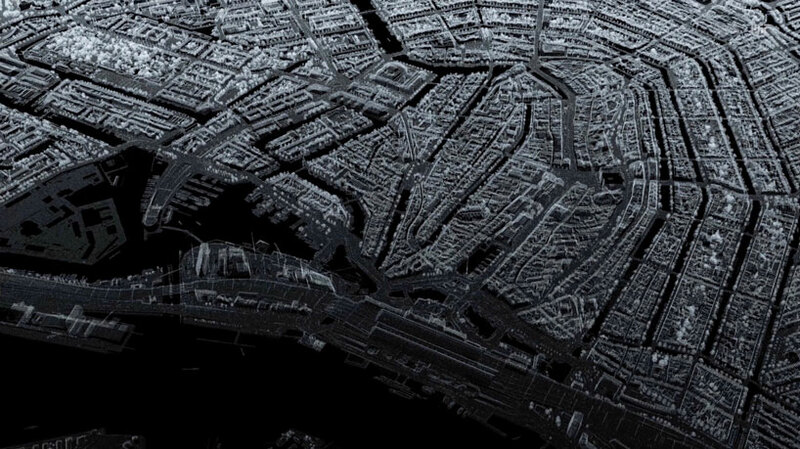 so MIT senseable city lab came up with laserscape, a 3D mapping technology to be built into the potential fleet. using a camera powered by artificial intelligence, laserscsape perceives its surroundings in real time. 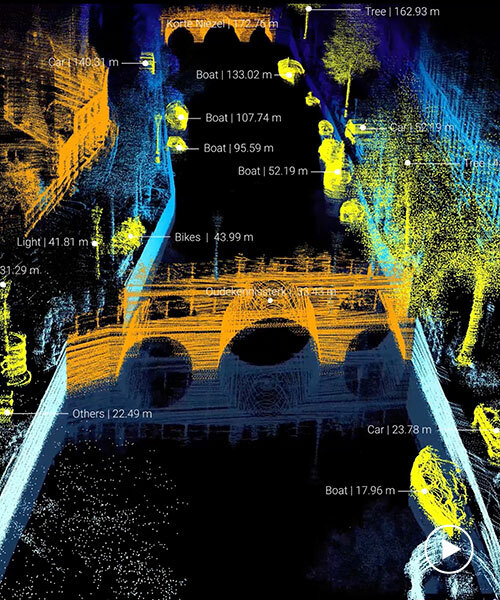 together with computer vision and laser scanning (lidar) technologies it combines millions of images and data points to capture a continuously updated image the waterways. 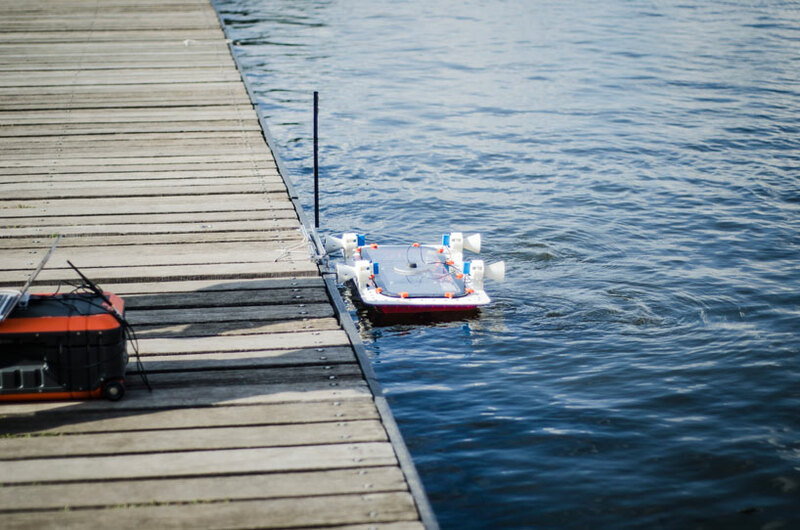 before putting this 3D mapping technology to use, the roboat teams first has to make a strong enough boat. to achieve their vision, they developed smart 3D-printed models kitted out with a range of sensors and electronics. the team first trialled a prototype of these boats back in 2016, sending it along a preprogrammed path through amsterdam’s canals and has since improved the design for continued testing. future work will involve finding ways to account for waves, currents and the added mass of passengers and cargo. to catch up with the project so far visit the roboat website and watch the video below.